The NCAA Division I Mountain regional championship is annually one of the deepest national championship qualifiers in the country, and 2018 is no different—several title contenders will square off as several teams are projected to book at-large tickets. This Friday, Nov. 9, will feature a matchup between the top two men’s teams in the country—No. 1 Northern Arizona and No. 2 BYU—and another between the defending women’s national champions—No. 3 New Mexico, and No. 4 Colorado. This regional contest should be a fantastic appetizer to the main course that will be NCAAs on Nov. 17 in Madison, Wisconsin, so you won’t want to miss it. Five women’s teams from the Mountain region are projected to advance to the NCAA Cross Country Championships, but only three—New Mexico, Colorado, and BYU–are locks to qualify, as unranked UTEP and Utah are expected to be two of the final teams in. The defending NCAA champion New Mexico ladies and fourth-ranked Colorado will both likely place in the top two and auto-qualify, and each team’s loaded rosters give them the luxury of pulling back on the reins in this race if they so choose. That said, the top duo from New Mexico—Weini Kelati and Ednah Kurgat—are both front runners who each finished in the top three at this race in 2017; look for the Lobo pair to go 1-2 in Provo on Friday just as they have in each of the last two meets. 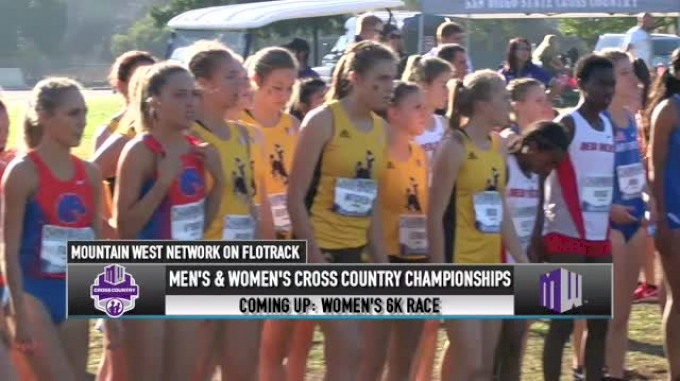 Colorado beat New Mexico handily in late September at Nuttycombe, and led by PAC-12 champ Dani Jones, the Buffaloes are among a small handful of title contenders. Expect them to pack run on Friday—CU had a tiny 12-second spread at regionals last year—as they gear up for Madison. BYU is a safe pick to place third in the Mountain region, and with their four regular season wins, the 10th-ranked Cougars will easily earn an at-large bid with such a finish. Junior Erica Birk-Jarvis has had a spectacular season in 2018 (she has three wins in four races), and her low-stick ability has filled a major weakness that BYU had in her absence last year. For UTEP and Utah, the pressure to perform well in Provo is much more significant. The Miners have an elite top two of Winny Koech (19th at NCAA in 2017) and Linda Cheruiyot, but they haven’t raced any competition this season and will need to beat Utah in order to get pushed into nationals. The Utes can’t match UTEP’s talent up front, but they do have two regular season wins that have them in position to qualify if they can finish top five. Teams like Southern Utah and Northern Arizona are currently on the outside looking in, but either could certainly get to Madison by beating Utah to crack the top five. 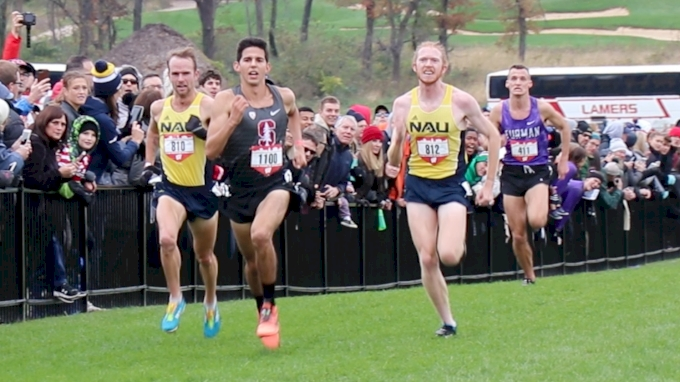 The men’s NCAA Mountain region has everything: the two best teams in the country, Northern Arizona and BYU, and five other squads in position to qualify out of the deepest qualifying race in the nation. The battle between the Lumberjacks and Cougars—their first meeting in 2018—will be compelling, even though this race will essentially serve as an NCAA warmup for the two title hopefuls. 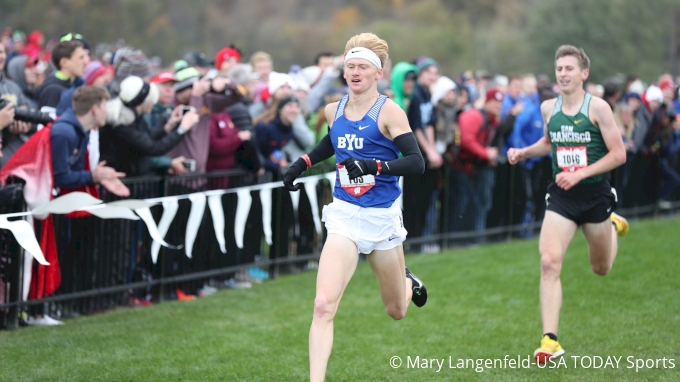 BYU is potentially the only team standing in NAU’s way from an NCAA three-peat and cross country dynasty status, so you can bet that both squads will be eager to race each other despite this just being a qualifier. NAU and BYU have each steamrolled their competition throughout 2018 with crazy low scores and tight spreads, which has set a dramatic stage for their clash in Madison. Friday will offer our lone preview of what’s to come between the schools on November 17. Behind the two main attractions, a bounty of talented teams will be booking their NCAA tickets. Colorado, Colorado State, and Air Force all have five wins or more, and that trio should easily advance without too much strain. Things will be a little tenser for Wyoming and Southern Utah, both of whom we have right now among the last six teams in, but again, these two schools have four wins each and should be fine as long as they beat Utah State. Both Wyoming and Southern Utah have already done that in 2018, so NCAA bids for both appear imminent. For Wyoming, it would be their first trip to the Big Dance since 1986.